Waiting at kawasaki Station @ 12:00 to ride Tokkaido Line but looking Kehin Tokhoko Line infront. Tokyo - 9-1, Marunouchi Itchome, Chiyoda-ku, inside the new North Tower of the Tokyo Station Twin Towers. Opened in 2007. Out in Tokyo... Long walk from here. Nihonbashi (日本橋), literally meaning "Japan Bridge", is a city district of Tokyo, just north of Ginza and northeast of Marunouchi and Tokyo Station. The bridge, after which the district is named, has been the mile zero marker for Japan's national highway network since the early Edo Period. The doorway in the impressive Renaissance-style facade of the Mitsukoshi Department Store in Nihonbashi contains two bronze statues of lions. Mitsukoshi Department Store opened in 1935 and the company itself began trading in 1673, when it was called Echigoya, selling fabric for kimonos. The company founder Mitsui Takatoshi would later establish the Mitsui business empire and Mitsukoshi stores. Big street Ueno Market full of sale and sea food. love the dimension here. really deep and spectacular! When approaching the temple, visitors first enter through the Kaminarimon (Thunder Gate), the outer gate of Sensoji Temple and the symbol of Asakusa and the entire city of Tokyo. Beyond the Hozomon Gate stands the temple's main hall and a five storied pagoda. Destroyed in the war, the buildings are relatively recent reconstructions. The Asakusa Shrine, built in the year 1649 by Tokugawa Iemitsu, stands only a few dozen meters to the left of the temple's main building. Various events are held throughout the year in the Sensoji Temple area. The biggest of them is the Sanja Matsuri, the annual festival of the Asakusa Shrine, held in May. Other events are the Asakusa Samba Carnival in August and the Hagoita-ichi (Hagoita Market) at which decorated wooden paddles used in the traditional game of hanetsuki are sold. Early in the morning of March 18, 628, when the capital of Japan was Asuka (present-day Nara Prefecture), two fishermen, Hinokuma Hamanari and his brother Takenari, were fishing in the Sumida River. Suddenly sensing something, they pulled up their net to find a statue of Bodhisattva Kannon. When Haji no Nakatomo, village headman of Asakusa, heard about this, he immediately realized that the object was a statue of the important Buddhist deity Bodhisattva Kannon. Taking vows as a Buddhist priest and remaking his home into a temple, he spent the rest of his life in devotion to Bodhisattva Kannon. In 645, renowned Buddhist priest Shokai Shonin built Kannondo Hall upon visiting the Asakusa district during his travels. Following a revelation he received in a dream, Shokai decided that the image should be hidden from human view, and this tradition has remained in place ever since. Asakusa began as an obscure fishing village along an estuary of Tokyo Bay, part of the vast wilderness of the area known as Musashi. The district later thrived as people arrived in increasing numbers to worship. When Ennin (794-864), the highest-ranking priest of Enryaku-ji (head temple of the Tendai School of Buddhism) visited Senso-ji in the mid-ninth century, he created a statue identical to the hidden one that could be viewed and worshipped by the people. During the Kamakura period (1192-1333), the shoguns, who held the true power in Japan during this time, demonstrated great devotion to Senso-ji. Gradually, other historically prominent figures including military commanders and the literati came to follow their example. Enjoying the protection of these illustrious individuals, the temple buildings were refined. During the Edo period (1603-1867), first Edo shogun Tokugawa Ieyasu deemed Senso-ji the temple where prayers for the aspirations of the shogunate would be offered. As a result the buildings were imbued with still greater dignity, and the temple complex flourished as the center of Edo (present-day Tokyo) culture. Out n about for a walk the other day around the Sumida River [隅田川] area. The river cuts through many residential areas and is the perfect place for a stroll. 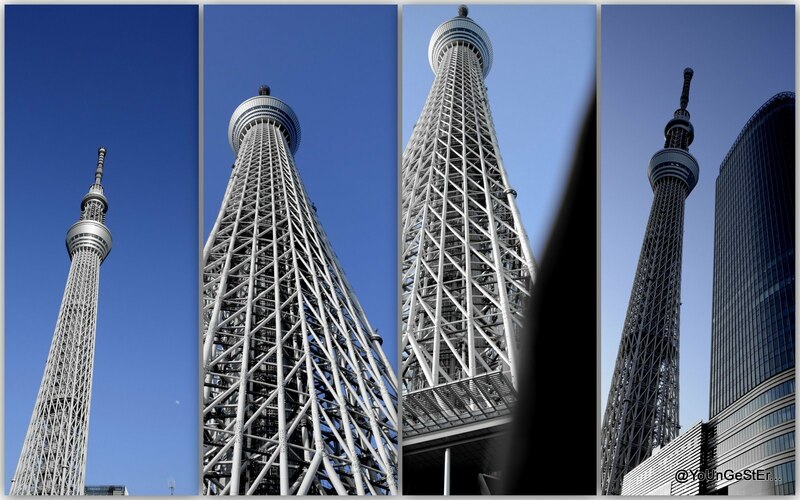 The Tokyo Sky Tree (東京スカイツリー Tōkyō Sukai Tsurī? 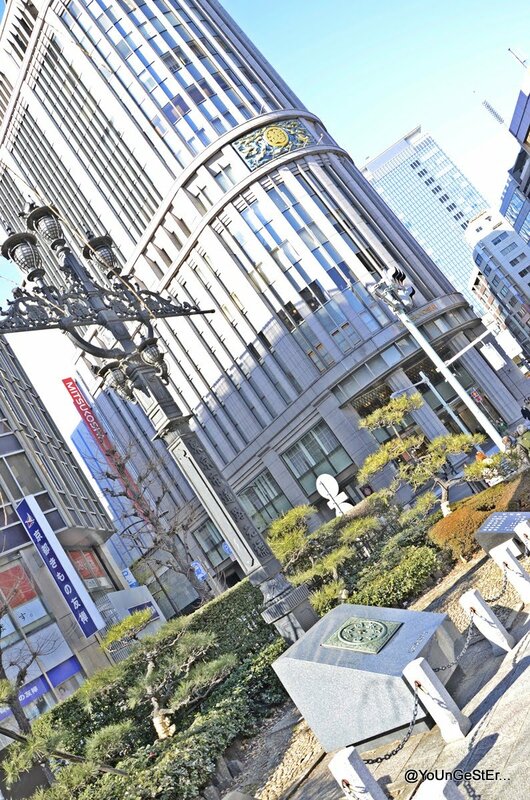 ), formerly known as New Tokyo Tower (新東京タワー Shin Tōkyō Tawā? ), is a broadcasting, restaurant and observation tower under construction in Sumida, Tokyo, Japan. 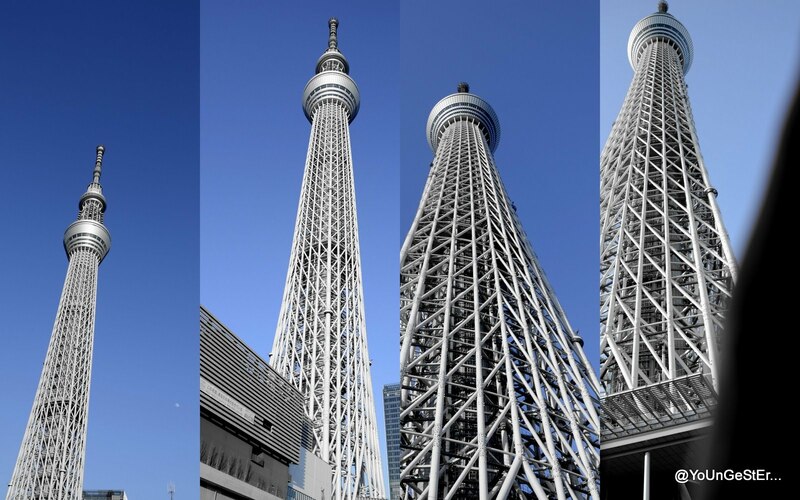 It has been the tallest artificial structure in Japan since 2010. The tower reached its full height of 634.0 metres (2,080 ft) in March 2011 but will not be finished until at least February 2012. 東京スカイツリーThe project is being led by Tobu Railway and a group of six terrestrial broadcasters (headed by public broadcaster NHK). Construction of the tower is scheduled to be completed by February 2012, with the public opening on 22 May 2012. 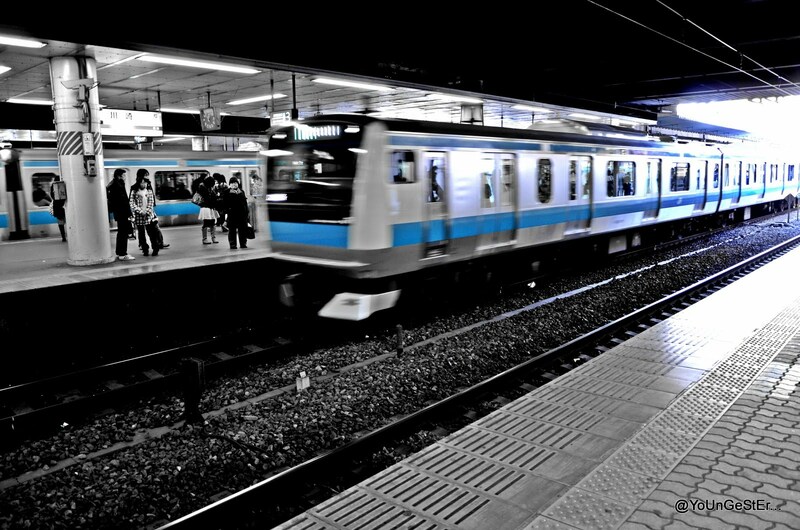 Sobu Line at Akihabara. Change to Kehin Tohoku Line going back to Kawasaki from Akihabara.